After finishing his diploma study in systems engineering at the University of Applied Science in Buchs/Switzerland, Clemens gained valuable international experience with companies in both Europe and China. 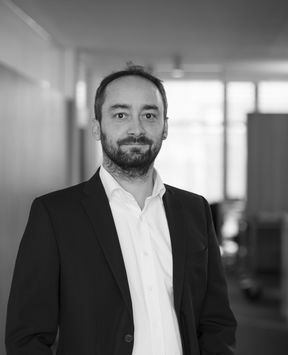 In 2005 Clemens joined Pantec Engineering AG, where he developed various electronics before subsequently focusing on laser electronics, and since 2014 has held the position of Systems Engineering Manager at the Pantec Medical Laser business unit. During his time with Pantec, Clemens also completed a Master of Science in Engineering at the University of Applied Science in Buchs and has also acquired considerable knowledge of laser tissue interaction and the properties of biological tissues. At the University of Hagen, Clemens took part in courses on technical optics, and also completed patent engineering training as well as a technology and innovation course. He also has a certification as a safety expert in active medical devices from the TÜV academy in Germany.